1. Hey CheyAnne and Doug! Tell us a fun fact about your partner. If Doug had not become a photographer, he likely would have been a DJ. Our parties are always a blast because he spends hours creating the perfect playlist. So much so, that a year later when you hear a song from one of his playlists, you think of that night on the party bus, or the last song at our reception, or that unforgettable road trip! As of late though, his new hobby is cooking. He went to culinary school for the past two years at the Chef John Folse Culinary Institute to learn how to be a better chef at home. He hopes to parlay this into food photography. The best part about food photography? You usually get to eat the food after the photos! CheyAnne had never played an instrument in her life until about 8 months before her wedding. She started taking drum lessons from Tony Seruntine with Groovy7 (they rocked the wedding reception) to learn how to play AC/DC’s “Shook Me All Night Long” during their wedding reception, while Doug accompanied her on guitar. 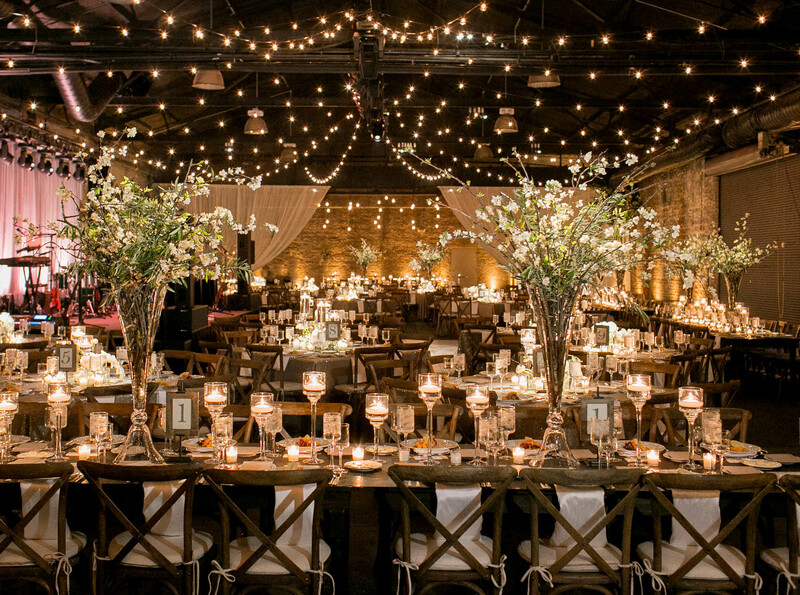 The wedding guests went nuts at this surprise. CheyAnne was a nervous wreck but pulled it off quite well. So much so that at a wedding vendor event three weeks later she was talked into doing it again. Without her notes in front of her and four inch heels on, Doug agrees she rocked it even better than the wedding night! 2. Share an image with us that you think sums up your photographic aesthetic—and tell us why! Oh wow! This could be so many different images, it’s hard to choose only one, but this is one of my recent favorites. Our photographic style is one that we like to call, “Classically Modern.” We want the images to have a very timeless feel, while not looking too traditional. Much of this combination is achieved due to our background in photojournalism. This is the other major component to our style. We are very documentary in nature. The real moments are the ones we truly live for. A special look between the bride and groom, the laughter between the bride and groom and their friends and families, the tears the parents shed as their babies wed, and of course the endless energy during a New Orleans second line. Documenting happy people has to be one of the best jobs in the world! 3. What is your favorite question to ask couples when you meet them for the first time? 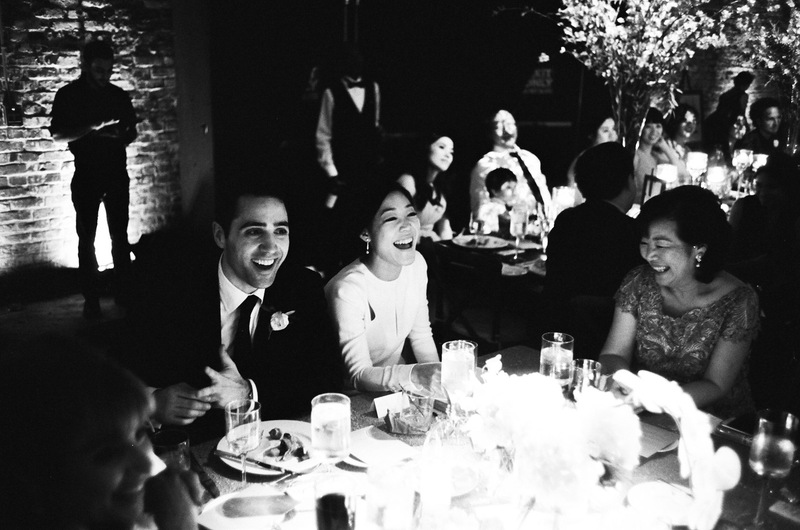 We love to hear how they met, and how the groom proposed. Those are always great stories, and we really get insight into the couple. Each couple lights up when they tell their story because, let’s face it, who doesn’t enjoy telling their own love story? 4. 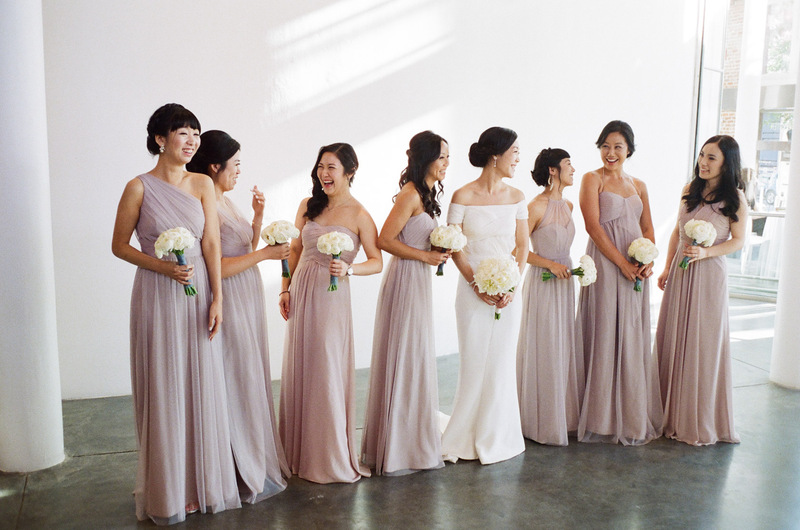 Do you have a favorite moment in a wedding day to photograph? I love the first look when a bride and groom see each other for the first time. I also love that moment right after the ceremony as they head down the aisle as husband and wife. There is always such joy on their faces, quite often accompanied with a celebratory fist pump in the air. 5. What are some of your favorite places to photograph in the area? Race & Religious and Marigny Opera House — so much character and texture. We also love Il Mercato and The Elms Mansion— the outdoor ceremonies at dusk there are to die for. One of our favorite courtyards is the recently renovated one at Maison Dupuy in the French Quarter. The new courtyard is beautiful! We love outdoor venues that are spacious, yet quaint, and allow natural light to flood in helping to creating beautiful photos. 6. 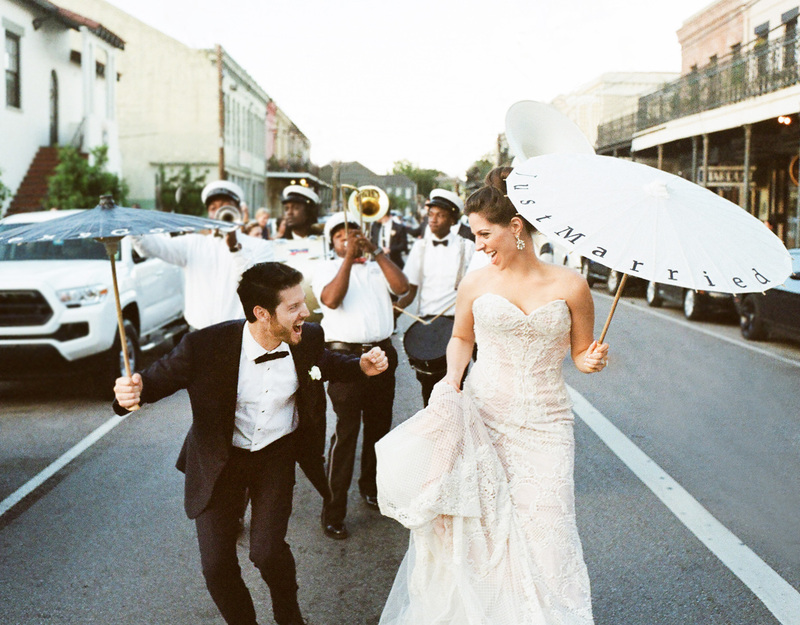 New Orleans has so many fun wedding traditions. Name your favorite! By far the second line! Especially if it’s a destination wedding. It’s entertaining and joyful to see everyone’s faces as they partake for the first time, and it’s the best way to end one of the best days of their lives. We’re often tired at this point and the body-aches have begun to set in from carrying around equipment all day, but it never fails that we get our second wind as soon as the brass band plays their first note and our feet hit the streets. What’s even crazier is that we run around backwards almost the whole time trying not to fall in potholes! But it’s still so much fun! 7. Speaking of NOLA… what do you like to get into on your days off? We LOVE to eat and drink. Our off days typically include gathering with friends for a long wine dinner, or heading out to one of Nola’s restaurants. Our favorites recently include Shaya and Avo. During football season we also enjoy Saints games and tailgating on Sundays. When we find time to take a longer break during the year, we love to travel and explore new places. 8. Speaking of your love of travel, you’ve recently moved to Paris, France! Why the move? 9. 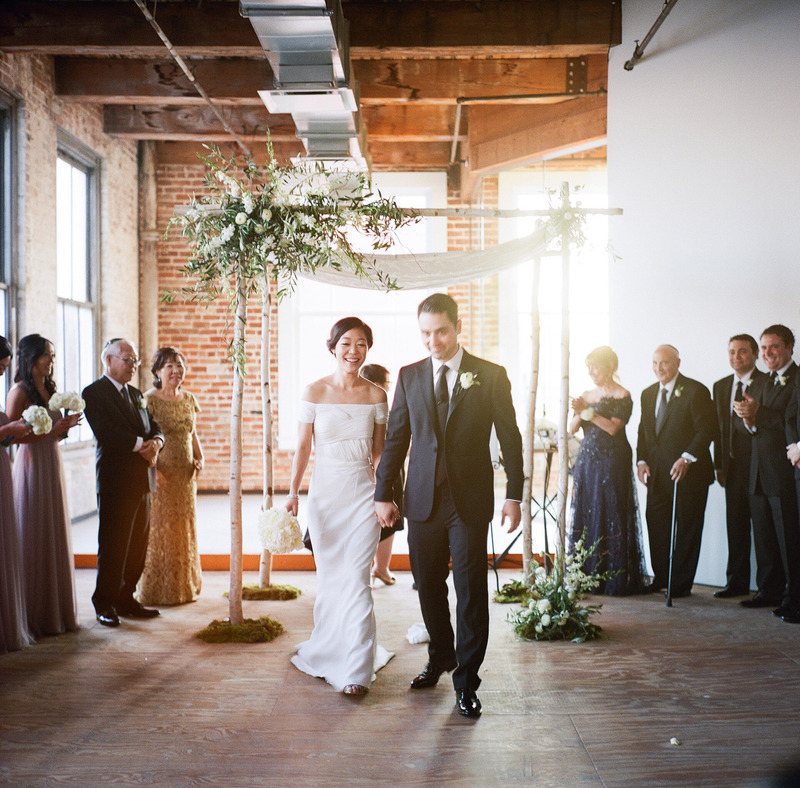 How will living in Paris, affect your weddings in the New Orleans​ area? 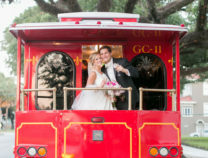 So many of our weddings in New Orleans are destination weddings, and it is not uncommon in those situations that many couples also fly in their vendors. We can fly in as well, only we know the area like the back of our hand. We are also working on booking weddings internationally as well now that we’re based in France. We plan to take on 10-15 select clients per year in the New Orleans area as we could never see ourselves out of the New Orleans wedding market completely because Nola is our home and, as we said above, weddings are very unique there. 10. Can we expect anything new from Arte De Vie in 2017? Yes! We are going back to our roots and incorporating film photography into our wedding collections alongside the digital. Film has such a timeless look, feel and artistic aesthetic that can’t be matched with digital alone. Our clients seem to be just as excited as we are about the newest addition. 11. Share one of your favorite memories from photographing a wedding. Oh wow! Where to begin? I really should start a journal for all of the fun things that happen between our couples. This spring was unique regarding the gifts our brides and grooms gave to one another. In March we had a groom surprise his bride with a brand new Jeep at the end of the night. They were running through a sparkling departure to their get-away car when she stopped mid-way as she realized what was going on — clutching her chest and asking, “Is this real life? 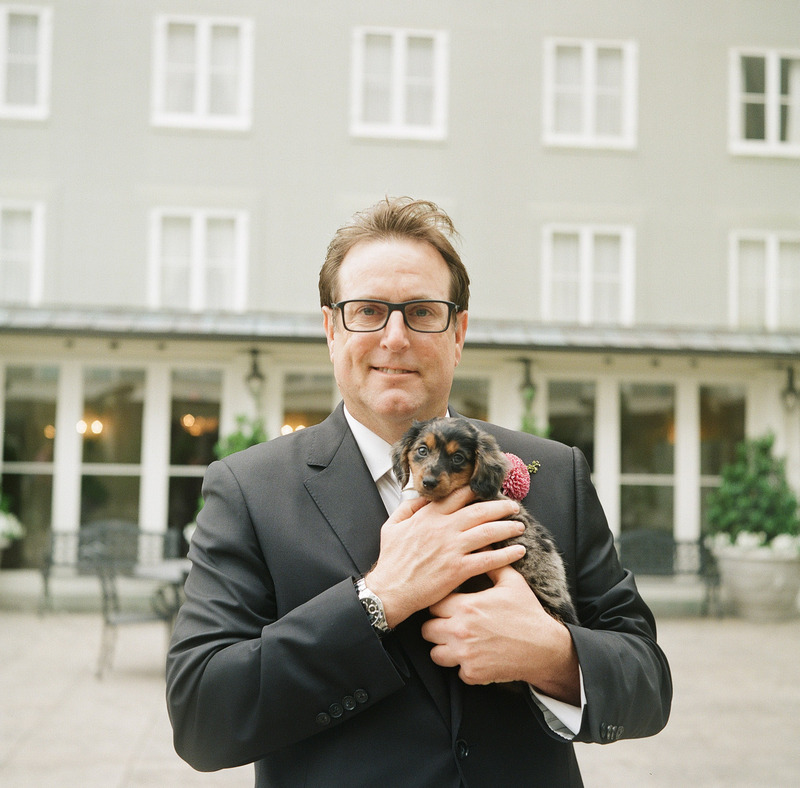 !” A couple of weekends after that the groom gave his bride the cutest puppy ever!! She approached him from behind for the first look and, as she tapped him on the shoulder, he spun around with a puppy in his arms. She completely lost it, gasping for air and crying. He was crying; it was a beautiful moment to be a part of. I was even trying to hold it together behind the camera. Lol! Other than that, our favorite memories come from the stories after the wedding that we hear from the bride and groom about how we made them feel, that we felt like family, that their friends and family commented on what hard workers we are, and that they loved their photos. It’s truly a very rewarding industry to be in, and we’re thankful to be a part of it! Hope you liked the Q&A! 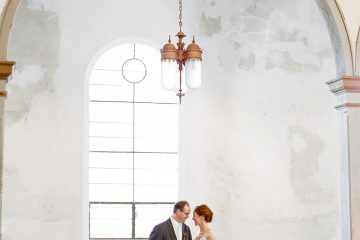 Make sure you check out Borrowed & Blue when you get a minute; it’s a great place to find New Orleans wedding planners.